A money purchase plan is a retirement plan option built on the employer making an annual contribution to each employee’s account based on a set percentage of that employee’s annual pay. For example, if the plan establishes a contribution of 5%, the employer must make a contribution of 5% of each eligible employee’s pay to his or her separate account. A participant’s benefit is based on the amount of contributions to their account and the gains or losses associated with the account at the time of retirement. The contributions are tax-deductible to the employer and tax-deferred for the employees, with investments growing tax-free until money is withdrawn in retirement. The flexibility of these plans allows employers to establish vesting schedules and even exclude certain employees. 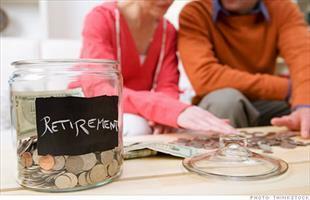 Money purchase plans can coincide and compliment other retirement plans you offer to employees. Your retirement plan administrator from American Pension Advisors will help you create the money purchase plan that is right for your business, and ensure that your plan meets all regulatory requirements.